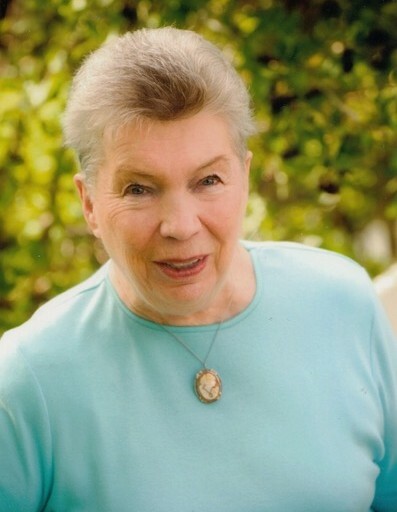 Eunice Stromberg Young of Peterson, Utah, passed away peacefully in her Peterson home on March 27, at the age of 84. She was surrounded by her loving family. Eunice was born in Weber County, Utah to Blaine Stromberg and Ernestine Rowett Stromberg. She was raised in Ogden and Harrisville, Utah. She graduated from Weber High School and subsequently attended Weber College. After graduating from college, Eunice worked as a secretary to the chief of police at the Ogden City Police Department. While there, she later became the second policewoman in the department. Eunice worked at Marquardt, the State of Utah School Superintendent’s Office, and Browning Arms. In addition, she transcribed court transcripts. Later in her life, she worked as an administrative assistant for the Morgan County School District Superintendent. She had a passion for learning. She would be busy painting, traveling, cooking, sewing, making jewelry, scrapbooking, and reading. She loved family history work and spent countless hours researching, gathering information, and typing histories. In 1964 she married Vern William Young in the Logan, Utah Temple. She is survived by their three children, Jeff Young (Kitty) of Castle Rock, Summit County, UT; Jelene Robison (Mike) Salem, UT; Jo Anne Robison (Brian) Las Vegas, NV. Also surviving are four step-daughters; Marcie Bott (Lamar) Eden, UT; Kay Peterson (Rex) Ogden, UT; Tammy Wallerstein, Washington, UT; Teri Downey, Ogden, UT. Eunice is also survived by 23 grandchildren and 17 great-grandchildren, as well as her brothers and sister; Ray Stromberg, Harrisville, UT; Joseph Stromberg (Linda), Farmington, UT; and Pat Stromberg, Ogden, UT. She was preceded in death by her beloved husband Vern, her father Blaine, and mother Ernestine. Eunice was an active and devout member of the Church of Jesus Christ of Latter-day Saints. She served as a stake missionary, Primary president, Stake Relief Society counsellor and in several other callings in the Primary, Relief Society, and Young Women’s organizations. She spent many years working with her husband, Vern, as a temple ordinance worker in the Ogden, Utah Temple. Eunice was known for her quick wit and love for her family. She found joy in her family and having them with her. The family wishes to offer their sincere gratitude to Encompass Hospice and a special thank you to Corey Blonquist and to her so many loving neighbors and friends. Viewings will be held on Sunday, March 31, at Walker Mortuary at 45 West 200 North, Morgan, Utah from 5 pm - 7 pm and Monday, April 1, at the church from 9:45 am to 10:45 am. Funeral services will be held at the West Morgan Stake Center at 11 am. Interment will be at the Peterson Cemetery.